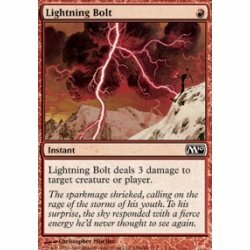 Lightning Bolt Card Type: Instant Ability Text:Lightning Bolt deals 3 damage to target creatu.. Shock Card Type: InstantAbility Text: Shock deals 2 damage to any target.Flavor Text: The tools of ..
Ability Text: Take an extra turn after this one. 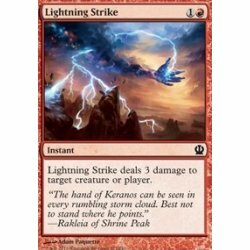 Flavor Text: Sarkhan wandered into a tomb and back in time.